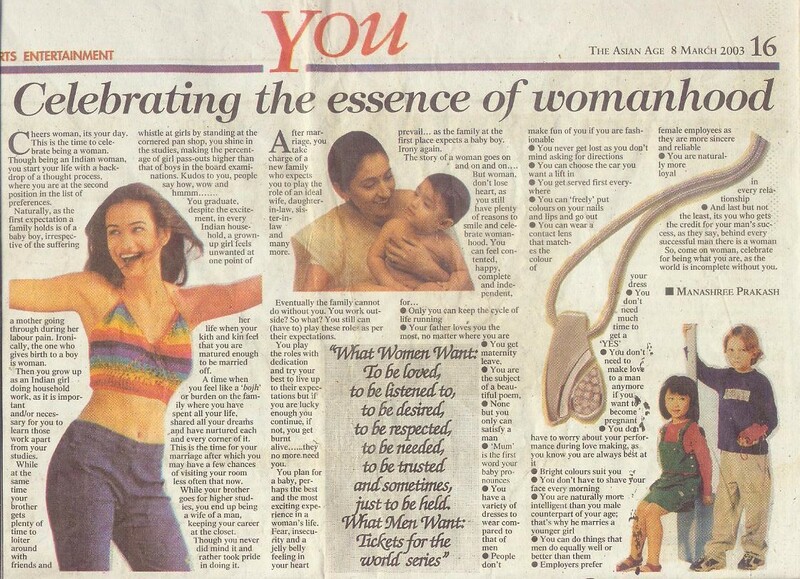 Today, on International Women’s Day, I felt like uploading one of my articles that I wrote during my tenure in The Asian Age as a Sub-Editor. I am yet to find the article on my laptop. So, here’s sharing the scanned copy of the newspaper publication. 🙂 I sincerely hope you’d like it.